If you’re listening to the healthcare industry, you can’t help but hear the rising buzz that is the coming influx of Artificial Intelligence - or "AI" - to take existing technologies to a new level, ultimately to drive down costs and improve patient care. But can this wide-ranging set of technologies truly change our industry for the better as it has in manufacturing, transportation, customer care and financial services? While there is suddenly a myriad of AI entries to the healthcare industry, we must be aware of those that truly offer a solution to an issue faced by health care providers, and those perhaps just hopping on the train. As a starting point in evaluating the impact of machine learning, the goal of any Artificial Intelligence based solution must be to add value to healthcare systems through low-cost, high-value and intelligent tools that enable health care providers to improve quality and lower costs. New technologies without a critical link to these outcomes will never make it. Now we’ve heard for more than a decade about the digitization of healthcare, but more than ever momentum towards that digital future is gathering pace. A 2016 Accenture report forecasts funding of digital startups in the U.S. healthcare market to double over the next three years, reaching $6.5 billion by 2017. And last year alone the FDA approved 36 connected health apps and devices that provide medical advice to consumers. A particular segment of the industry that holds immense opportunity to apply machine learning is ultrasound – a highly utilized technology across healthcare for anesthesiology, cardiology, obstetrics, and urology to name a few, but ripe for innovation. 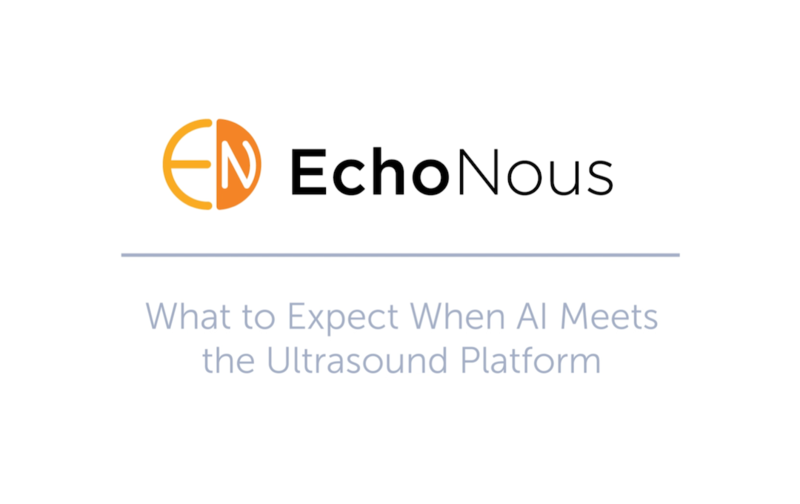 While ultrasound has been used since the 1940’s, the true opportunity is in both the extreme miniaturization and the fusion of ultrasound with AI to solve everyday problems in healthcare. Bringing AI and miniaturized ultrasound together enables a stream of non-identified patient data to be shared back to a central server allowing for the device to continuously learn and become more intelligent. This “learning” will be delivered to all connected devices through automatic software updates, and it will ensure that future readings will continue to become more accurate as more data is used to make the device more intelligent. Again all of these improvements lead to time savings for nurses on the front line of care, and costs savings for the back end of any hospital system. 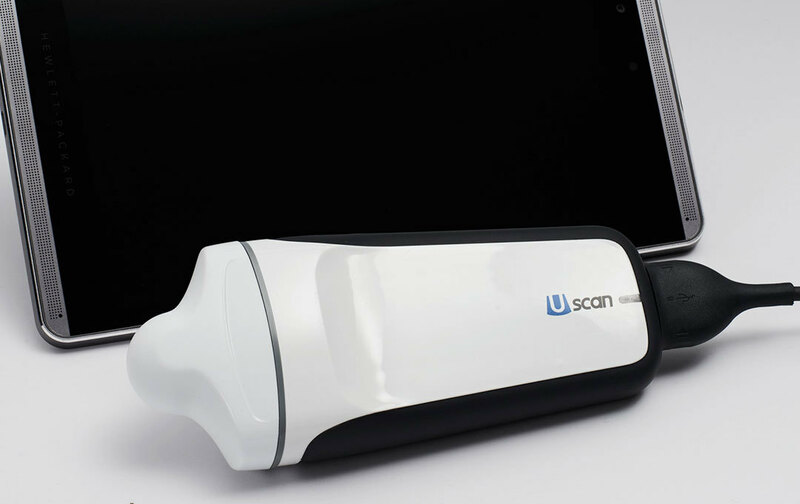 One current example that has quickly garnered the attention and use of nurses across the country is Uscan, our AI-driven bladder ultrasound tool. 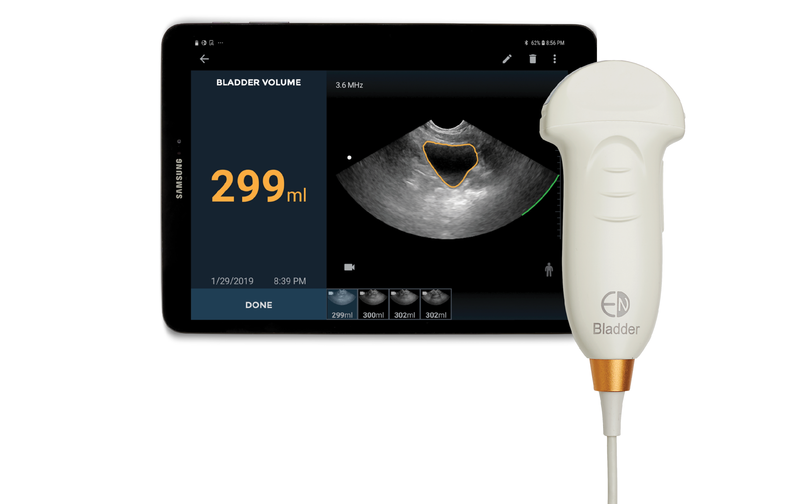 Since its 2016 U.S. market launch, more than 20% of U.S. healthcare systems have converted to this intelligent ultrasound tool as it provides a solution far more accurate than conventional bladder scanners. In this case, AI data enables the Uscan to precisely measure bladder volume and bladder wall thickness, saving nurses time and healthcare systems money. We believe this is just one example of the growing set of intelligent ultrasound tools that are uniquely positioned to save a hospital’s precious resources and ensure patient satisfaction. When applied correctly and diligently, the use of AI has the potential to address system inefficiencies and solve problems associated with many clinical applications that impact the day-to-day lives of patients and healthcare providers. After all, the real winners from digital healthcare will be the patients who receive better treatment, and those we prevent becoming patients in the first place. 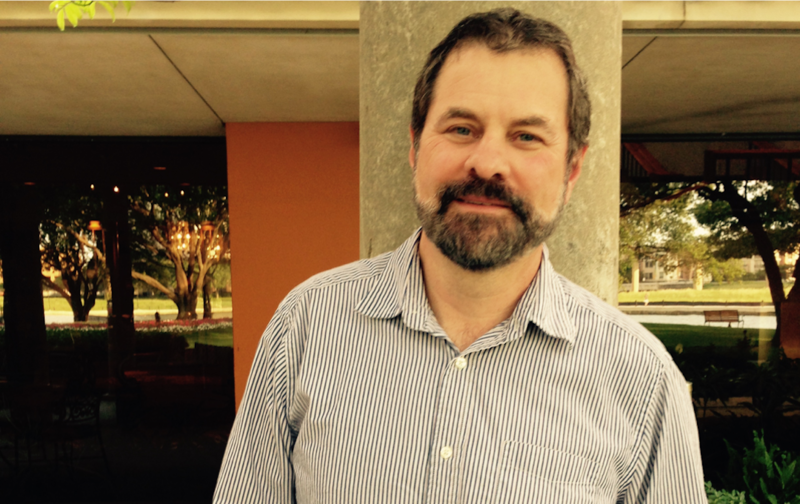 Kevin Goodwin is the CEO of Signostics, a pioneer is applying the emerging field of artificial intelligence with the extreme miniaturization of ultrasound to solve common every day problems in healthcare.